In celebration of Valentine's Day, I'm posting updated versions of my favorite series "How I Never Met Your Mother", a clear ripoff of How I Met Your Mother. I posted these two years ago and I would love to have them here on my main blog. Why? Because I actually loved writing this particular arc that led to why I absolutely hate everything about Valentine's Day. Screw that holiday and everyone who likes it! Ahem. On with the post. Kids, in the first episode of the TV show “How I Met Your Mother”, the lead character Ted Mosby steals a blue French horn for his love interest at the time named Robin. That blue French horn was meant to be a symbol of what Ted and Robin could be. No, I didn't spoil anything for you because that was the first episode of a show that ran for 9 seasons. After seeing several guys outside the College of Tourism and Hospitality Management (CTHM) building with balloons and a sign that said "Happy Birthday", I jumped to the conclusion that it was for a girl named Jill. I was starting to really like Jill at the time. We met on Twitter and have been talking to each other ever since. I was with my friend Jan when that grand gesture happened outside of the CTHM building (where Jill was studying at the time) and a day after Jill's birthday (December X, where X is the appropriate number between 5-9). Jan: Would you look at that? How pathetic. Ralph: Totally--Wait... That's CTHM... No... No... Oh god, no. Ralph: This girl I like. It was her birthday yesterday! Damn it! These guys are doing it for her! Jan: Dude, you gotta make an impression on her. Jan: Yeah, so she'll know you're there. I asked your Aunt Angel what could be a good gift. Jill has been joking that I should get her a pink puppy and I actually considered buying one. Ralph: Angel, where can I get a pink puppy? Angel: You can’t. 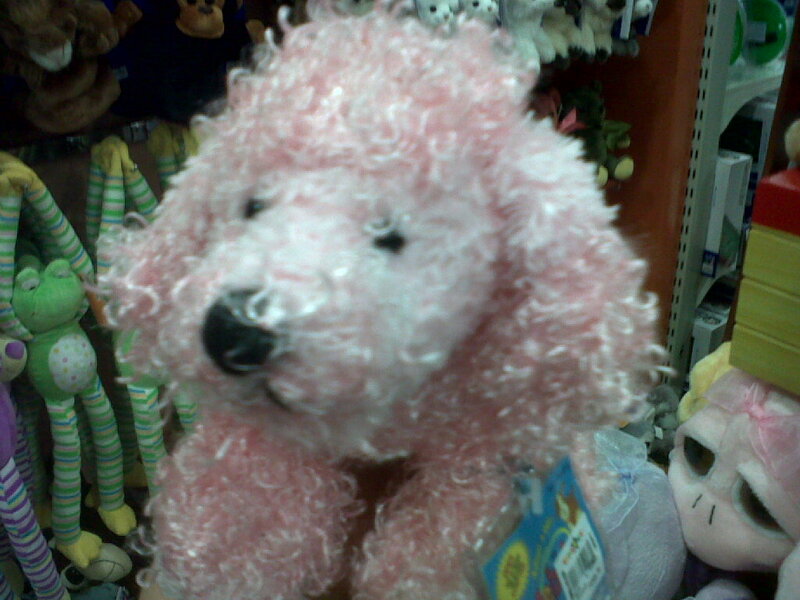 You have to buy an actual puppy and dye it pink. Ralph: Now how much do puppies cost? Angel: Puppies are expensive! And the pink dye would kill it in a few weeks. Angel: Can’t you ask her what she wants? Ralph: Then that would kill the surprise. I’ll think of something. I told Jill the harsh reality of dyeing a puppy pink when she brought it up again. Jill: Ralph, I want a pink puppy. Ralph: I can't. Animals aren't allowed in campus so I can't deliver it to you. Jill: You have a car and a driver! Deliver it to my building! Ralph: You do know that if I dye a puppy pink, it'll die, right? Ralph: Yes! It would only last a week and it'll die. Oddly enough, a week before Jill and I ever met, she posted her wish list online. One of the things there that seemed a little less costly and easy to buy was a plushie of a minion from that movie Despicable Me. You know, those little yellow things in overalls that I told you about. Yes, those little annoying things. I promised to get Jill a stuffed minion. I went to a mall named Greenhills to do some Christmas shopping. Okay, I say it was "Christmas shopping" to not look like a dork. My only intention was to shop for Jill's gift but buying my friends gifts seemed secondary. Hell, I just thought about buying my friends gifts while I was looking for Jill's. Looking back, it’s a horrible reason to put your friends secondary. 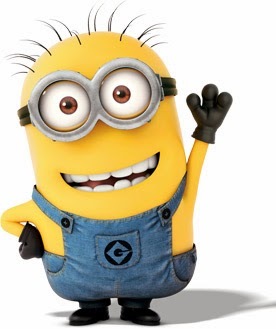 When I had gone to Greenhills, I asked the all the kiosks, all the stalls that sold toys for that stuffed minion. I looked around toy stores and any store that had anything that had the color yellow on it. Despite my efforts, I found none. I went to a toy store in the mall there called Toy Kingdom and they said they ran out of those minions weeks ago. I thought I should just give up and go home. I mean, I already found gifts for my friends and I didn't even need to buy anything for myself. I was already heading for the exit until I remembered what Jill was constantly bugging me about several months ago. Jill: I want a pink puppy. Jill wanted a pink puppy but I knew that you can’t dye actual puppies because that would kill them, as said by your Aunt Angel. So what was the next best thing? A plush pink puppy. I left all my presents for my friends in the car with my driver. Driver: Are you ready to go? Ralph: Just one last thing. I rushed back to the toy store and looked at the stuffed toy section. I noticed a small yet fluffy pink puppy in a bin of other stuffed animals. I grabbed it and checked the price – 400 pesos. Ralph: 400 pesos for a stuffed puppy? My goodness, that is not a good purchase. I should just head on home and save my money. Ralph: Oh god, yes! This is great! So after buying that overpriced pink puppy, I thought it would be sweet if I wrote “Belated Happy Birthday and Advanced Merry Christmas”. And to top it off, I even wrote our Twitter usernames on the card because Twitter was how she and I got acquainted. She was starting to be a friend and I always do good things for friends. My friends would tell you otherwise but that’s another story. I had the gift and I had Jill’s schedule. I was ready to meet Jill. I was Ted. She was Robin. And this plush pink puppy was gonna be the blue French horn. Clearly, I expected too much.